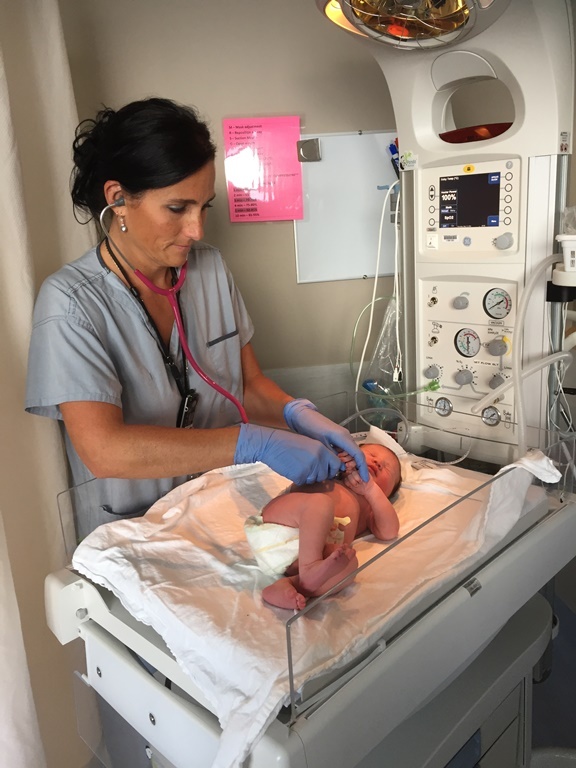 In March 2016, KGH opened its doors to the most advanced perinatal unit the Southern Interior region and with it, a new ‘home’ for the many doctors and nurses who specialize in perinatal care. The hospital environment can be overwhelming for a baby who has come from the comfort of his/ her mother. Studies have shown that family-centered care positively impacts family functioning. Mothers report increased closeness to their babies, less stress and increased feelings of comfort and parenting confidence. Donations to the KGH Foundations ‘Giving Giggles’ campaign are working to enhance the standard of medical care that staff are able to provide on the unit through the purchase of life-saving equipment and patient care items. And for the staff who work on the unit, donor gifts have been almost revolutionary in their ability to deliver family-centered care. Each and every day, medical staff at KGH go above and beyond for their tiny patients. The new unit is expansive, bright, intelligently organized and, thanks to donors, medically advanced. This state-of-the art environment not only allows doctors and nurses to do their work more effectively and efficiently, but allows them to give more time and attention to the ‘heart’ of their work – their tiny patients and their families.